The ‘contenance angloise’ is the period in English music between 1420 and 1500 still prized for an emergent, fluid polyphony and overt, systematic consonance. Vocal writing is distinguished by a more suave sound than that of the earlier music of the Middle Ages, a result of a new and liberal attitude to intervals previously classed as dissonances, most importantly the major third. Discussed below are the emergence of proto-tonality in English music of the 15th century, the ‘Golden Age’ of English music in the 16th century, the ‘Second Renaissance’ of Vaughan Williams and his followers in the early 20th century, and finally the development and adoption of distinctly madrigalian and new liturgical styles by English composers in the late 20th and early 21st century. Music theorists in the ancient world considered only the perfect intervals as consonant, the unison, fourth, fifth and octave. All other intervals were considered dissonant, a foreign notion to our ears today. Remarkably, this theory continued to be used in the Middle Ages, during which these ‘perfect’ intervals were given religious significance. Perfection was connected with the godhead; thus, all other intervals were somehow ‘imperfect’, i.e. tainted in some manner. There arose early on a concept of the consonant and the dissonant, which is why the major third and major sixth (minor intervals were yet not part of this theoretical construct) were treated as dissonances. It also explains why early polyphony, or ‘organum’, moved exclusively in parallel octaves, fourths and fifths. Today of course, thirds and sixths are ‘our’ most consonant intervals. In Pythagorean theory, consonant intervals display simple number ratios. The original Pythagoreans were active in the 5th Century BC and restricted these ratios to simple ones using only the integers 1, 2, 3 and 4. The octave is, for example, 2:1, and the perfect fifth 4:3. Intervals involving integers greater than 4 were treated as dissonant. The major third was rendered 5:4, and the minor third, 6:5. Later authors such as Gioseffo Zarlino (1517-1590) expanded the ratios in works such as Le istitutioni harmoniche (1558), Dimostrationi harmoniche (1571) and Sopplimenti musicali (1588), and thus allowed new consonant intervals, to include the integers up to 6, embracing their inversions, too. All other intervals remained dissonant in his intervallic theory. Of equal significance is Zarlino’s concept of intervallic resolution, whereby not only the interval itself was considered consonant or dissonant, but its tendency to resolve upwards or downwards to another interval was awarded similar credence within a harmonic system of what by now had become proto-tonality. Later authors such as Hermann von Helmholtz (1821-1894) developed a theory of intervals based on the harmonic series and drew up a ‘beat theory’ (see Die Lehre von den Tonempfindungen als physiologische Grundlage für die Theorie der Musik, 1877, translated by Alexander John Ellis as On the sensations of tone as a physiological basis for the theory of music, reprinted by Dover, 1954). Here, consonant intervals lack perceptible beats, meaning that an exactly-tuned octave or fifth will not audibly beat. Carl Stumpf (1848-1936) offered a convincing refutation of this theory in 1898 with his own ‘fusion theory’, which makes forays into what was a new field of psycho-acoustics (see his ‘Konsonanz und Dissonanz’ in Beiträge zur Akustik und Musikwissenschaft, Vol. 1, 1883-1890). In the 15th century English composers dominated the ‘avant-garde’ of European musical thought. Their music becomes sought after and many works survive in foreign sources only. The development of the ‘contenance angloise’ is easily traced to changes in style between, say, the Salve scema sanctitatis by John Dunstaple (ca. 1390-1453) and a work like Stella celi by Walter Lambe (1450/51-1504+). During the 1420s and 1430s there is evidence of contact between English and continental composers. The mature style of mid-15th century English music is the beginning of the international style of the early Renaissance, which the theorist Johannes Tinctoris (ca. 1435-1511) calls in 1476 the “new art…whose fount and origin is held to be among the English, of whom Dunstaple stands forth as chief”. Dunstaple inherited the fauxbourdon style characterised by passages of parallel 6/3 and 6/4 chords – were these harmonies ‘invented’ and allowed before 5/3 root positions? With its “sweet sound” (Tinctoris), we are dealing here with a new musical language comprising an abundance of thirds and sixths, and which, significantly, leads to the use of full triads. This is the proto-tonality mentioned above. An interesting literary source is the epic poem Le Champion des Dames by Martin le Franc (ca. 1410-1461). In the MS, a fine miniature depicts the two leading composers of the day: Guillaume Dufay (?1397-1474) and Gilles Binchois (?1400-1460). The poet served as secretary for Pope Nicholas V (1447-1455), and the anti-pope Felix V (1439-1449). In addition, he was in the service of the Dukes of Savoy, and frequently sought the patronage of Duke Philip the Good of Burgundy (1419-1467). Le Franc alludes to the influence of Dunstaple on Dufay and Binchois. As Martin le Franc described it, this English ‘countenance’ or style was above all else, a sound: “a new practice of making frisk concordance…rendering their song joyous and notable”. The sound resulted from the frequent use of thirds and sixths in the harmony and from a suppleness of rhythm and melody that was newly expressive, and which was taken over by Dufay and Binchois in forming the Burgundian style –the real subject of this passage in le Franc’s poem. It would however be unfair to give Dunstaple all the credit for the ‘contenance angloise’; his pre-eminence is certainly merited, but several other composers deserve our notice, including Benet, Bedyngham, Forest, Frye, Plummer, Pyamour and Leonel Power (1370 to 1385-1445). The music of Walter Frye (fl. 1450-ca.1475) is preserved exclusively in continental sources. The most important MSS are those of the Burgundian court. Frye was younger than Dunstaple and maintained a presence on the continent after the former’s death in 1453, when English influence gradually declined. The rising figure in bar 1 of the upper voice, c-e-f-g-a-g, outlines by way of the fourth the major triad, before rising to the sixth and returning to the fifth of the scale. A typically melodious and arguably English stylistic trait of Dunstaple’s music. From the middle of the 15th century to the first two decades of the 16th century, England cherished an insular tradition, as it did at later points in history. The predilection for consonant intervals survived well into the next century: there is an unbroken connection between the music of Dunstaple and Frye, and Weelkes and Wilbye. The Eton Choir Book (compiled between 1500 and 1505) is the important source from the period, and preserves an extraordinary repertoire of polyphony marked by soaring melismas and a pan-consonant style. Real innovation in English secular music only takes place at the end of the 16th century, with the rise of the English madrigal. The Italianate features of the form are immediate, and occlude the earlier style of the little secular music surviving by composers of the early Tudor period such as Robert Faryfax (1464-1521). The immediate impetus for madrigal composition in England is traced to the Italian Alfonso Ferrabosco ‘The Elder’ (1543-1588), employed in London in the 1560s and 1570s at the court of Queen Elizabeth I. His works proved popular and inspired imitation by indigenous composers. But important collections such as Nicholas Yonge’s Musica transalpina of 1588 and his second Musica transalpina of 1597 – containing “Italian madrigalls Englished” – are a major influence too. 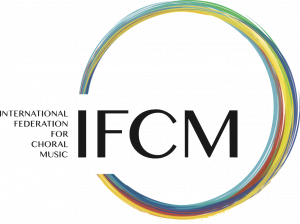 Amongst the leading English madrigal composers were Thomas Morley (1557/7-1602), Thomas Weelkes (1576-1623) and John Wilbye (1574-1638). Morley is the only composer of the time who set verse by Shakespeare for which the music has survived. His melodic style remains popular today. 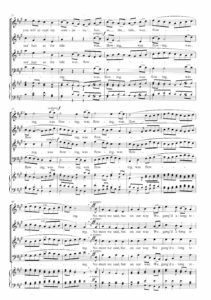 Wilbye had but a small compositional output; his madrigals are distinctive, their expressiveness occasioned by an extensive chromaticism not to be confused with the Italian style. Weelkes also wrote highly chromatic music much in the Italian style. The emergence of the madrigal is entirely characteristic of the Renaissance in general and Italian music in particular. The form was closely married to words, the poetry dominantly Petrarchan. Indeed, the nature of the Italian madrigal was defined by a close expression of the words: a path is glimpsed leading to declamatory solo-singing and opera itself. In the hands of English composers, the madrigal lent expression to the words and even indulged in some word-painting, but remained a musically determined form. The melodies were suffused with the native part-song, and relied less on strictly imitative counterpoint. The English demonstrated once again a gift for indigenous melody while recognising the dominance of the Italian madrigal. What emerged were a new form that merged with the English Air and overtly melodic solo-songs with instrumental accompaniment. The English madrigal was, then, neither wholly English nor justifiably Italian, the result – as so often – of fruitful cross-fertilization. This complex period produced much fine music. 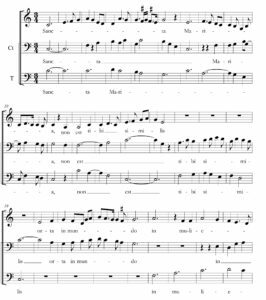 The lighter madrigal style that flourished in Italy in the 1580s enjoyed great popularity in England immediately thereafter, even though – in terms of the numbers of publications at least – the madrigal was a much smaller phenomenon in England than in Italy. The popularity of Italian madrigals in translation, combined with developments in English poetry witnessed by the sonnets of Edmund Spenser and Philip Sidney, encouraged English composers to write madrigals using English verse. Such songs are typically light-hearted in tone. The texts are mainly pastoral or amorous or both, and are set to music admitting both short points of imitation but much homophony besides. The highpoint of this movement are surely the works of Thomas Morley, whose own light and brisk style was taken up by other English composers. In 1601 Morley published The Triumphes of Oriana, an anthology of madrigals by English composers in honour of Elizabeth I. The more serious Italian madrigal of the later 16th century had no great influence in England, even if some composers, notably Weelkes, Wilbye and Ward, developed the style, setting darker texts and using chromaticism and dissonance. The collection by Walter Porter (ca. 1588-1659) Madrigals and Ayres (1632), evokes Monteverdi’s concerted madrigal style, particularly in the use of virtuoso solo and duet passages with continuo. By this time, however, the madrigal in England was being superseded by the native lute-song and ayre. 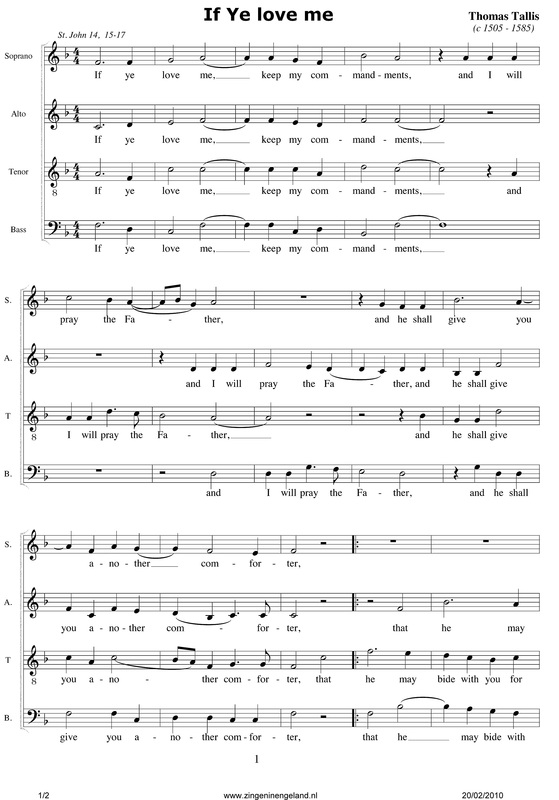 Regarding melodic and harmonic style, in many an English composer’s mind there existed a dichotomy: easily available were imported wares like the Italian madrigal, but present, too, was an innate feeling for simple tunes, which had always lent such credence to the English folk-song. The native tradition, stemming from the part-song, maintained its independence throughout the late 16th century – it ‘kept its face’ – and shook off Italianate music. The melodic idiom of the early In goinge to my naked bedde by Richard Edwards (1524-1566) displays continental influence but relies more on the stock-in-trade idioms of English song, with its overtly triadic structures. 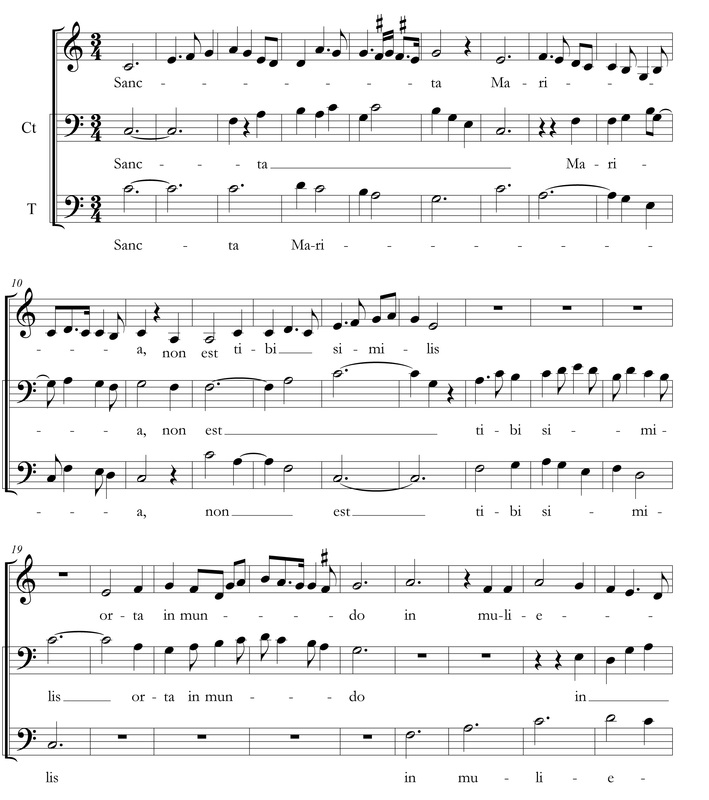 As for The doutfull state that I posses, by Thomas Wythorne (1528-1596), rhythmically it resembles an adaption of a villanella alla napolitana, but melodically is again rooted in the English folk-song style. Another composer to resist Italian influence was William Byrd (1543-1623). From his Songs of Sundrie Natures (1589) to the composer’s final publication Psalmes, Songs, and Sonnets (1611), he maintains a more Netherlandish than Italian style, cultivating a learned counterpoint and on occasion casting his chosen texts in a harmonic idiom that is quite severe. Typically, he eschews Italiante word-painting. In Come wofull Orpheus a strong native cast remains, even if the occasional line like “sowrest sharps and uncouth flats” is chromatically aberrant. In all manners then, the English madrigal remained a less esoteric activity, and became a more popular movement. No evidence remains of professional madrigal singers being employed by noble families, as was the case throughout Italy. The rise of a new gentry and a true middle class demanded music for private use. And while an Italian composer was pretty certainly drawn to all things literary and dramatic, an Englishman was more likely to be concerned with the stuff of music itself, simple diatonic harmony that coloured in its own subtle way the melodic line, along with a sparing use of chromaticism within a reliable tonal structure. English music displays most often a songlike tendency, where all voices within a polyphonic texture retain equal melodic importance. Although the top voice in many a work from this period caries the burden of the tune, this treble dominance is set off time and again by other voices, which remain – at least to varying degrees – equally as tuneful. As always, it is impossible to separate entirely melodic thinking from the harmonic context, even if a much clearer conception of tonality – the music of Thomas Morley is a prime example – is typical for the English school at this time. The proto-tonality of the late Middle Ages and early Renaissance had developed into a tonality that may be described as functional; the bass line is telling in this respect. In Morley’s own Shoote false love, the cadences fall on the dominant and, in the seventh line of the poem, on the dominant of the dominant. This assuredness of harmonic style is surely a characteristic of English music as the 16th century draws to a close. It is a kind of assertiveness of harmony that marks out the English style, as she turns her face towards an equally progressive continent. Note in bar 19 the descending major triad that occurs between the tenor, alto and bass at the point of imitation to the words “e’en the sp[i]rit of truth”. A bell-like and harmonious moment that unites polyphony and homophony. It will come as no surprise if the author – writing from Munich – calls to mind the infamous phrase by the German scholar Oskar Adolf Hermann Schmitz: “Das Land ohne Musik” (The country without music). This is the title of a book he published in 1904 in the Bavarian capital, a work somewhat anti-British in sentiment and in which he accused the English of displaying a lack of “Kultur”. His sentiments go back much earlier, at least to the critics Carl Engel and Georg Weerth, but possibly to Freidrich Engels too. But it was Carl Engel, a musical anthropologist and based in England at the time, who claimed in his 1866 study on national music that “Die Engländer sind das einzige Kulturvolk ohne eigene Musik.” (The English are the only civilised society without its own music.) This foray into cultural history helps the author conveniently skip some 300 years of English music history, a new Dark Age if one will, during which ‘we’ produced little of note, not to forget Henry Purcell and Georg Friedrich Händel – the most famous ‘English’ composer of the 18th century. What makes English music so quintessentially English? Until the end of the 19th century even the English themselves had no idea, allowing foreigners to gain such a prominent place in English music life that they were soon regarded as ‘British’. George Frideric Handel, as he was soon to style himself, lived in England for a substantial part of his life, and is still considered by many to represent English music par excellence. A canny explanation for this is given by George Grove as early as 1890 in the first edition of his eponymous Dictionary of Music and Musicians: “There is something expressly English in Handel’s characteristic. His size, his large appetite, his great writing, his domineering temper, his humour, his power of business, all are our own.” As for the oratorios written by Felix Mendelssohn Bartholdy, cynics would argue that they appeared to have been penned expressly to give the numerous English choral societies something to do with their time. Be that as it may, it was Ralph Vaughan Williams (1872-1958) and Gustav Holst (1874-1934) whose music represented a Renaissance of English music at the turn of the 20th century. This movement, variously known as a ‘New Renaissance’ or a ‘Second Renaissance’ of English music blended effortlessly English folk-song and hymnody with the part songs and church music of the Elizabethan era, while using forms and styles already extensively explored by Bach and Handel. For both Vaughan Williams and Holst the great repositories of Tudor church music, such as the Cantiones Sacrae published by Tallis and Byrd in 1588, were equally important sources as the secular madrigal, the author restricting the present discussion to secular music only. RVW, as he continues to be affectionately known, wrote choral music that proved a firm base for the next generation, comprising such major figures as Benjamin Britten and William Walton. For over half of a century, Vaughan Williams remained a figurehead of English music. Just as William Byrd before him had largely ignored the perceived excesses of the Italian madrigal, he remained wholly insensitive to the upheaval in compositional method promulgated by the Second Viennese school. He clung to tonality. Faced with the increasing industrialisation of England, he began to collect the traditional folk and popular songs of the land, whose melodies he was to introduce into his own works. RVW took his inspiration from a deeply-rooted English tradition: the nation’s love of folk song. He was greatly influenced by the folk-song collector Cecil Sharp, with whom one had to be: “either pro-folk-song or anti-folk-song, and I came out heavily on the folk-song side”, as Vaughan Williams once pointed out, using the comment for his famous 1912 article ‘Who wants the British composer?’ The face of English music thus turned inwards once again, as New Music took new directions in Europe and the pace of musical innovation outstripped audiences’ ability immediately to comprehend it. The Second English Musical Renaissance was strongly reflected at the time in a particular sphere: national newspaper and journalistic music criticism, especially at the outbreak of the first World War. This returns us neatly to the role of the journalist in music reception-history. The word ‘Renaissance’ in this new context of English music was first used, in September 1882, by the journalist Joseph Bennett, chief critic of the Daily Telegraph. He used the term in his review of the premiere of Hubert Parry’s Symphony No.1 in G, a work seen by many as a watershed in English music. In general, critics aligned themselves either side of the great European musical debate: on one side those of the Schumann and Brahms persuasion, and on the other side they who championed English versions of this classically German idiom, which consisted of a largely watered-down musical language as perpetrated by advocates of the nationalist school less able than Vaughan Williams. Wagner’s was not the music of the future; this was apparently in the safe hands of Charles Hubert Parry (1848-1918) and Charles Villiers Stanford (1852-1924), academics at London’s music conservatories. This coterie then was the foundation on which the new English Renaissance was to be built. Composers such as Walford Davies, Coleridge-Taylor, Mackenzie, and Somervell were welcomed, and Delius, Bantock, Cowen, Sullivan, Elgar and Boughton were rejected as somehow ‘not very British’. This remained merely empty debate, one eclipsed by the triumph of Edward Elgar (1857-1934) in the first decade of the Edwardian era. Certainly, future paths taken by English music did not depend on a single work, but it was lucky for Elgar that the German conductor Julius Buths attended in 1900 the premiere in Birmingham of the composer’s Dream of Gerontius, under Hans Richter. 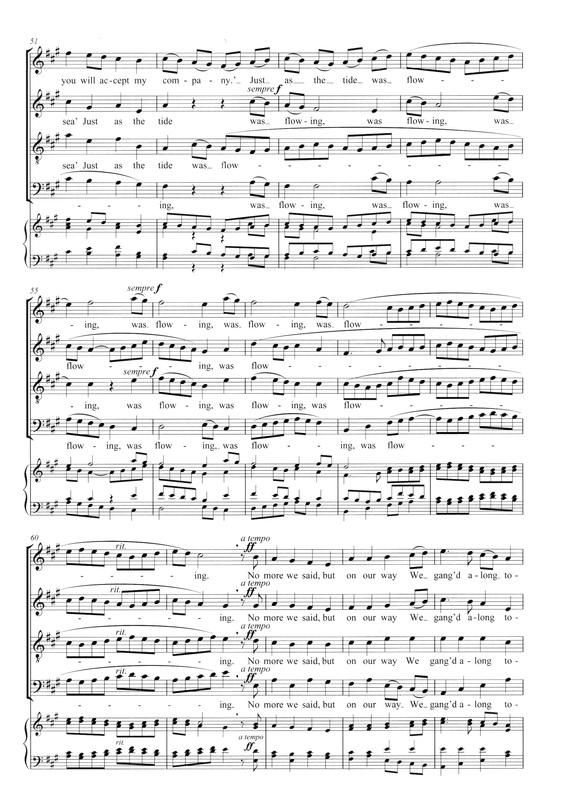 This first outing of what was to become a significant work in the English repertoire was a debacle, the chorus being significantly underprepared; but Buths sensed the brilliance of the score – he was impressed apparently with the great outburst of the chorus at ‘Praise to the Holiest in the Height’ – and subsequently conducted the piece a year later in Düsseldorf in the presence of the composer. The co-director of Buths was Richard Strauss, who was suitably impressed by the work, remarking at the post-concert banquet: “I drink to the success and welfare of the first English progressive musician, Meister Elgar.” Praise indeed from the ‘Land der Musik’ (The land of Music) for the ‘Land ohne Musik’. Choral conductors around the world should explore Parry’s expressive Lord, let me know mine end, with its strong accentuation and romantic crescendi, and – another telling work – the Three Latin Motets by Stanford. Both these pieces are in eight parts. 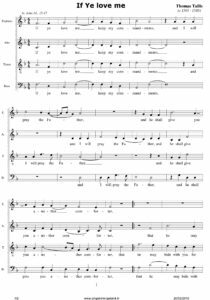 As for Mater ora filium, by Arnold Bax (1883-1953), it is a work of genius, an exemplary essay in writing for double choir. This is music that sounds much more challenging than it is, a fact many conductors with limited rehearsal time will welcome. 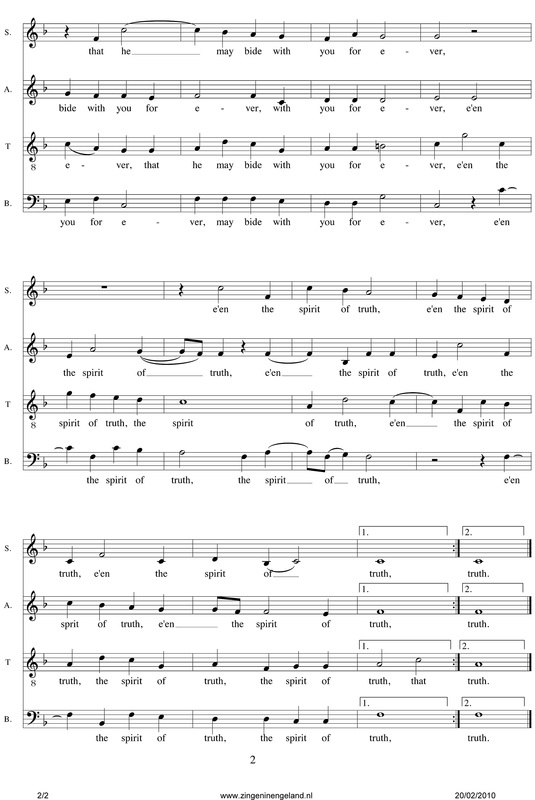 Many other anthems in similar vein still form the staple repertoire of today’s Anglican choral repertoire. The tonal vocal writing in English choral music of the late 19th and early 20th centuries is much influenced by Brahms. And another noteworthy piece is Valiant for Truth, by Vaughan Williams himself, a setting of an extraordinarily powerful text by John Bunyan. There are other fine a cappella compositions, too, by Gustav Holst. The author hopes this call to arms will fire the imagination of those in the business of planning choral programmes. But before setting out on this voyage of discovery, it is worth picking up – on Amazon these days one supposes – an excellent book by Frank Howes: The English Music Renaissance (Secker and Warburg/New York: Stein and Day, 1966). The present author asserts that while both RVW and Holst admitted the influence of folk-song, it was English hymnody that played, too, a major role for Vaughan Williams (he edited The English Hymnal); Holst, for his part, had his choirs sing the madrigals of Weelkes – pioneering and neglected repertoire as the 20th century was ushered in. A lesson in how to set a folk-song and go well beyond its strophic form. 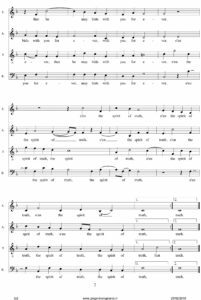 At the local level, the original tune has a rather stilted dotted crotchet, quaver and crotchet at ‘flowing’, but RVW finds a better match of text and music, setting the word to melismata which literally flow.